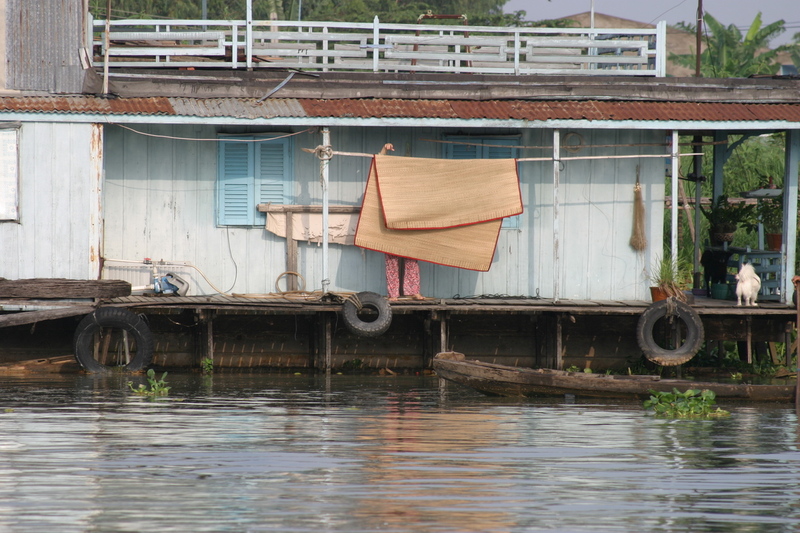 There are houses floating in the Mekong river in Vietnam. Families live in them. They have motors that allow them to move them somewhere else on the rainy season. The house has two floors. One above the surface where people and pets live. The second floor is below the surface, surrounded by nets, and that’s where thousands of fish live. The fish receive food every day. When we gave them some food they jumped like crazy. They were probably hungry. The fish grow for six months, and then they are sold. There are hundreds of these fish factories in the river.